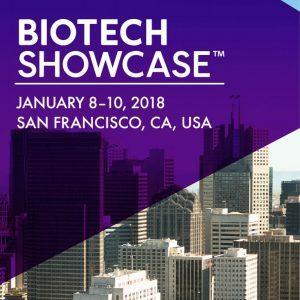 Biotech Showcase taking place concurrently with the J P Morgan event in San Francisco, will host more than 3,500 attendees and 900+ investors. This event considered to be a critical strategic benchmark for business development activities in biotech, medtech, pharma and digital health, is regarded as among the year’s most important investor meeting place and sets the tone for financial health in these sectors, for the coming year. Speakers and attendees at Biotech Showcase, will participate, network and listen to over 400 company presentations. Over 2,100 companies from 50+ countries will participate. Besides 7000+ one on one meetings, general sessions will focus on a number of topics that are significantly expected to impact the healthcare arena. Here are some of the treatment modalities that are getting interest from both investors and entrepreneurs. A panel moderated by Joseph Gulfo, Executive Director at Lewis Center for healthcare innovation and technology with Thomas Hallam, CEO of Leading Biosciences, Arpita Maiti, Senior Director, ES&I at Pfizer, Glenn Nedwin, CEO of Second Genome, will start day one. Microbiome refers to internal ecosystem of bacteria, widely believed to be residing in the gut. By some researchers estimates, over 90% of all diseases can be traced to the gut and health of the microbiome. However, new research on lung, skin, inflammation, immunology, and neuro microbiome is bringing together experts in neuroscience, gastroenterology, microbiology and more to unlock even larger role that microbiota plays in interacting with itself and its human host, in understanding disease and health and better understand possible treatment modalities. A panel moderated by Janet Lambert, CEO at Alliance for Regenerative Medicine will discuss next gen cell based immunotherapies with panelists Robert Preti from Hitachi, Bob Azelby from Juno Therapeutics, Manuel Litchman from Mustang Bio, James Noble from Adaptimmunie, Pascal Touchon from Novartis and Scott Walchko from Fate Therapeutics. Immunotherapies use body’s immune system’s natural capacity to detect and destroy abnormal cells. Immmunotherapies have generated great deal of interest, specifically for treatment of cancers because these regimens present fewer side effects and have less potential for creating resistance when treating microbial diseases. Gene therapies using genes to treat or prevent diseases, indicate promising though yet risky treatment options. What does the future hold for gene therapies, specially beyond rare diseases? Bill Lundberg from CRISPR and Geoff Nichol from Biomarin will discuss outlook for gene therapies. This entry was posted on December 28, 2017, 9:47 am and is filed under Big Data -Cloud -IoT-Software -Mobile -Entrepreneurship, Biotech - Medical Device - Life Science - Healthcare. You can follow any responses to this entry through RSS 2.0. You can leave a response, or trackback from your own site.